The Perth Comic Arts Festival will run from Friday, 29 to Saturday, 30 June, 2018 consisting of the Australian Comics Symposium (29 June) and Market Day (30 June), featuring comics exhibitions at ECU’s Spectrum Project Space and Gallery 25, workshops, artist talks, maker stalls and activities for all ages. 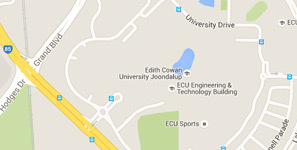 PCAF is supported by Edith Cowan University and the Comics Maker Network. Researchers of all disciplines, as well as unaffiliated comics artists, comics historians and critics will present their findings on topics as diverse as comics as worker contracts, comics and sexuality, comics as a platform for marginalized voices, comics collections in libraries and art institutions. Is there such a thing as “Australian comics”? Speakers presentations include an examination of Ginger Meggs, the work of Michael and Mary Leunig, and Shaun Tan. Keynote speaker for the symposium will be Dr Elizabeth MacFarlane (University of Melbourne/Comic Art Workshop). Registrations are now open for the Australian Comics Symposium. Register your attendance for this WA event now before places book out.